Tosoh Bioscience wishes to announce a further opportunity to attend our practical Workshop in Chromatography in Process Development & Production in Griesheim! The course is designed to provide a thorough introduction to the many aspects of methods development and use of modern polymeric resins. As soon as the dates of the courses 2020 are fixed, it will be announced here! 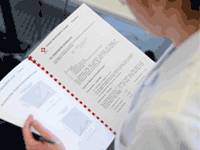 To be in the loop of the latest news on the Chromatography Workshop, opt-in here » and select the area of interest "Chromatography Training (German)" or "Chromatography Training (English)".